A prom night is the formal dance night for high school and college students. It is the night to socialize, hang out and date. Prom nights are a coveted event for girls. They dress their best to strike an outstanding impression and become instant head-turners. 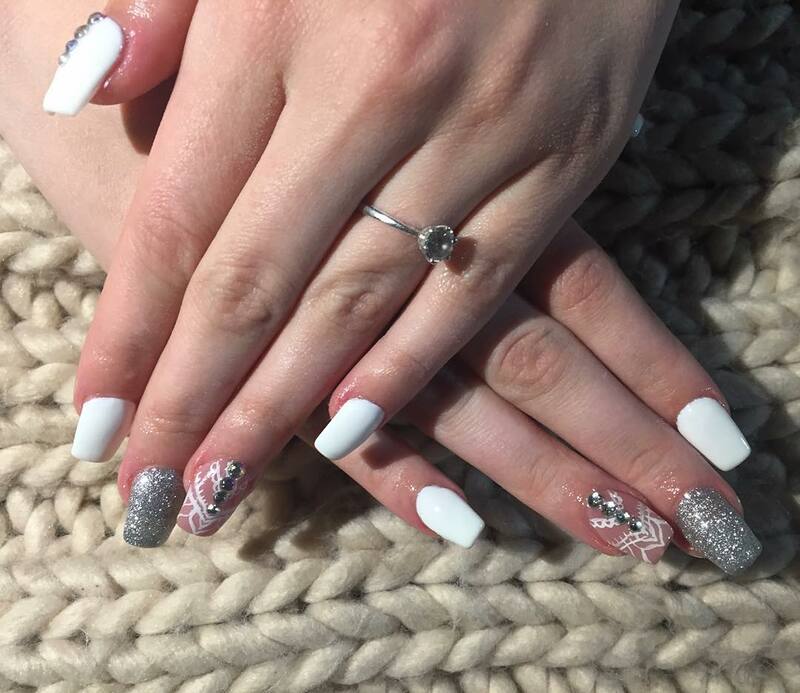 Girls focus only on their prom night dress, footwear, and makeup but we think that nails are equally important to leave a remarkable impact. 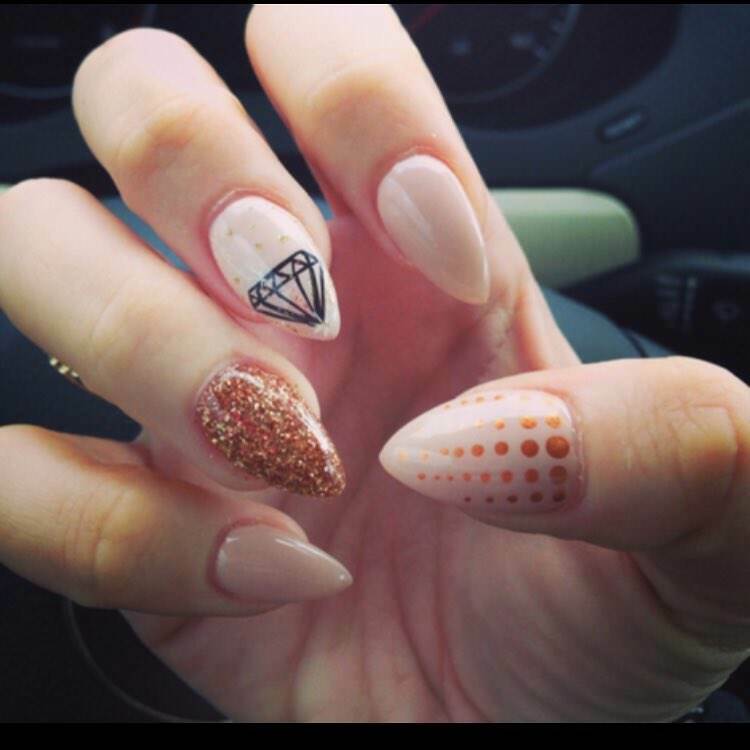 There are various types of nail art which girls can sport on their prom night. 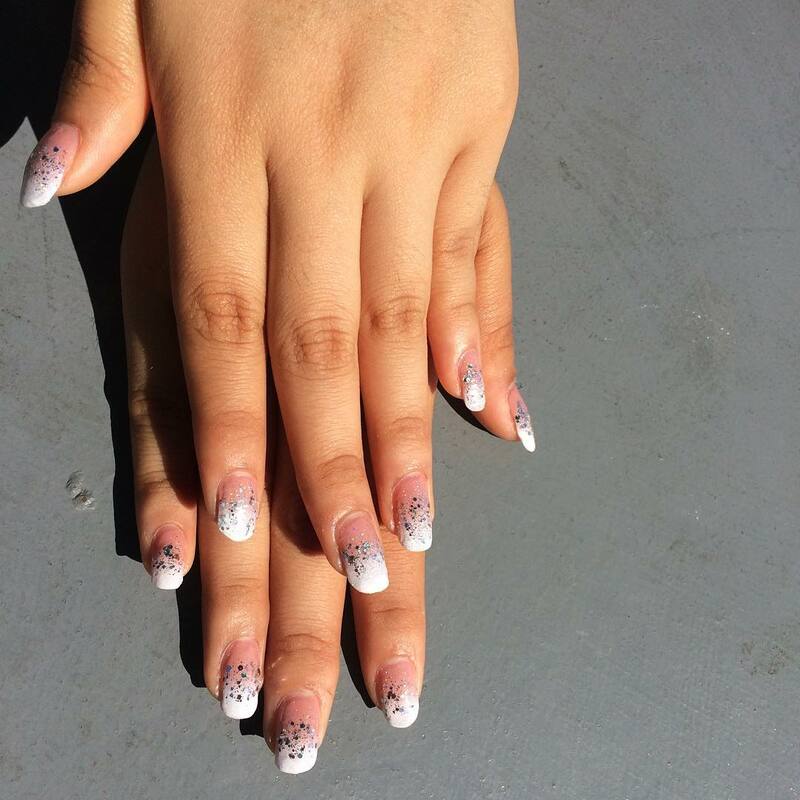 From casual, flowery, classy to feminine, one can choose a nail art that is in sync with their prom night dress and look. The easiest of all nail arts, it just requires painting all fingernails with a golden paint and clear polish for shine. The nails are ready to bedazzle the night. 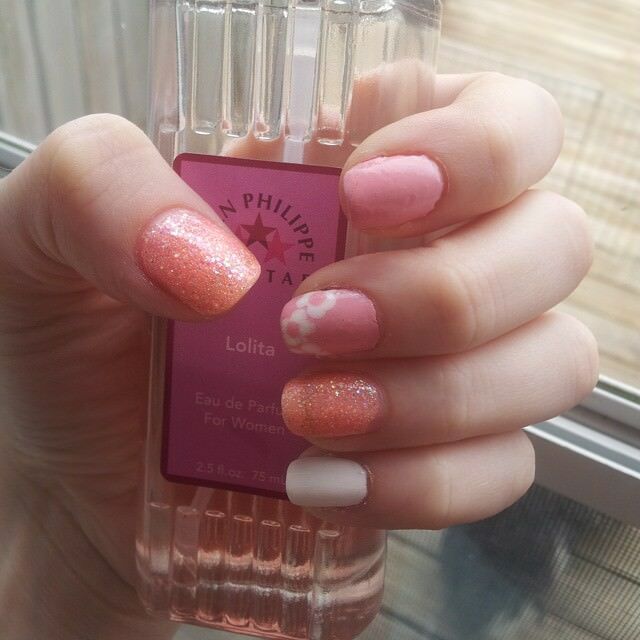 This nail art is feminine and cute. 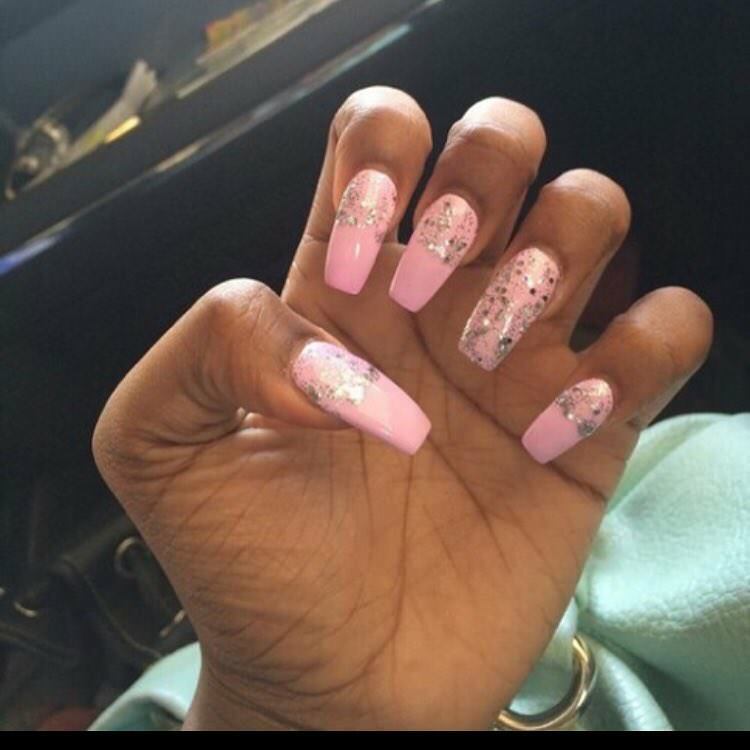 The pink and silver color will go with the pink, black or white dress. 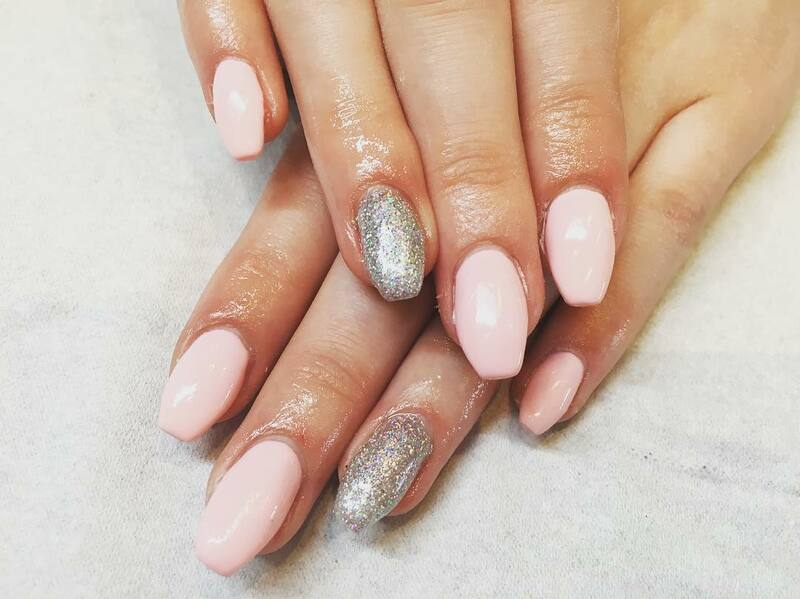 The base coat of pink can be decorated with silver on top or sides of the nail. 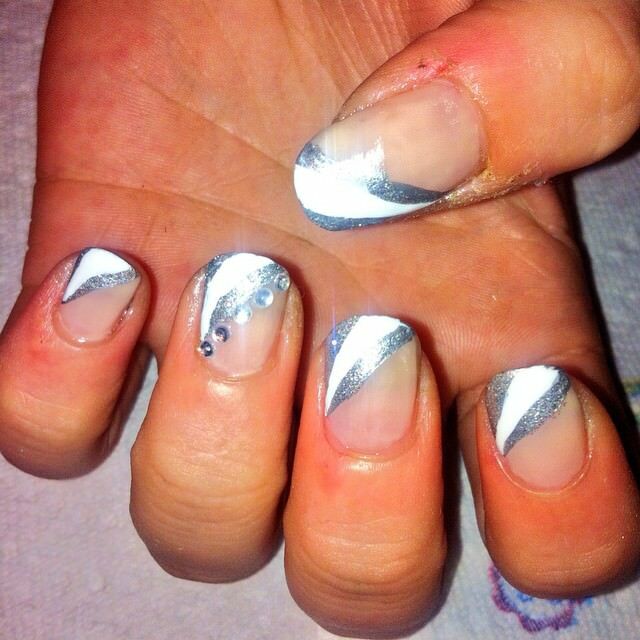 A coat of clear polish will add shine to the nail art. 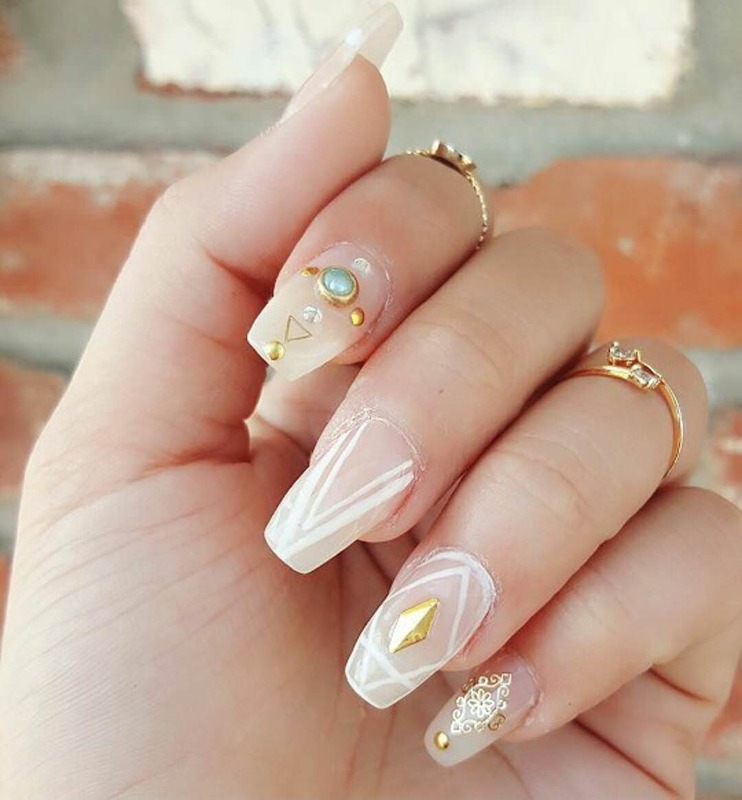 This nail art is the prettiest of all. 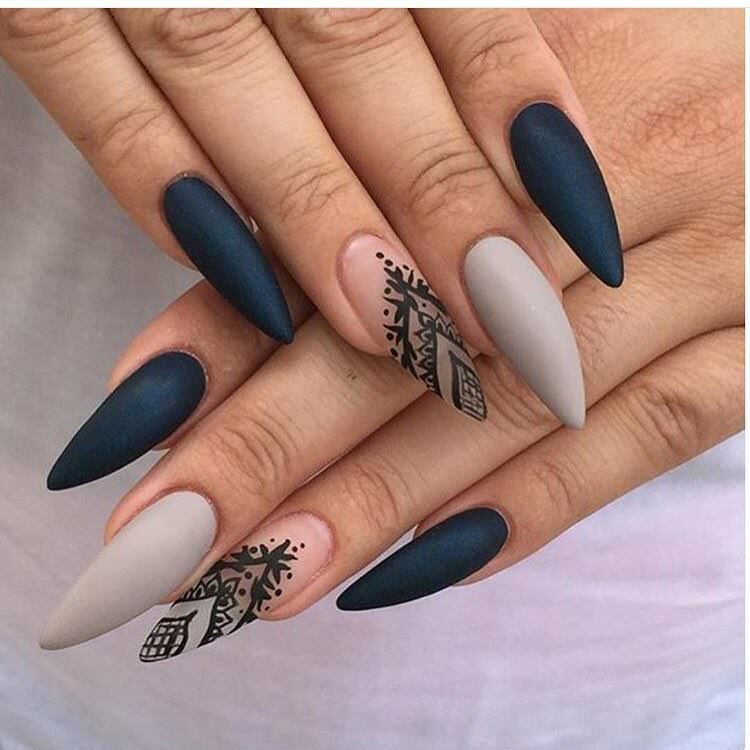 It does not require any shade of nail paint. One needs a base coat of clear polish. 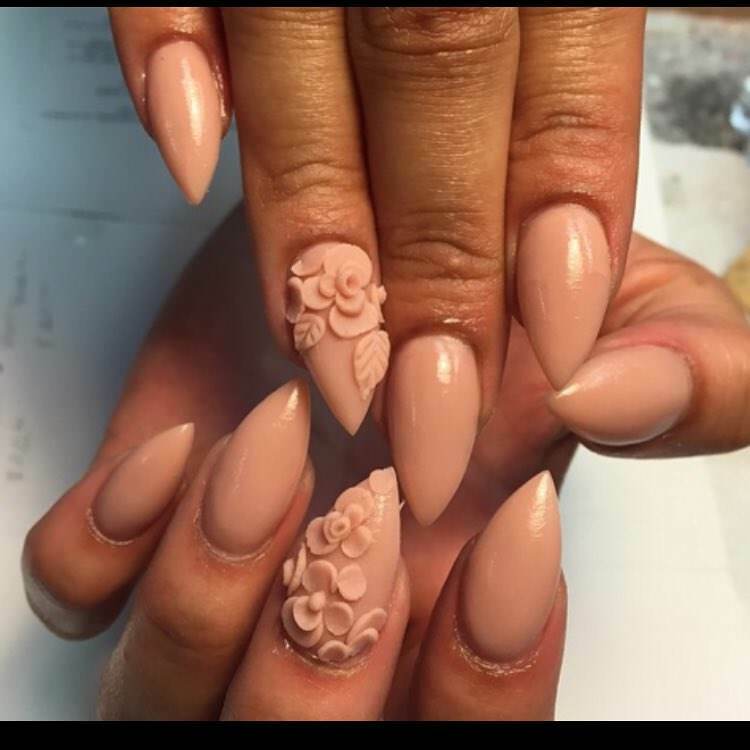 Flowers and diamonds are then stuck to the nails. One can use pink or white flowers. 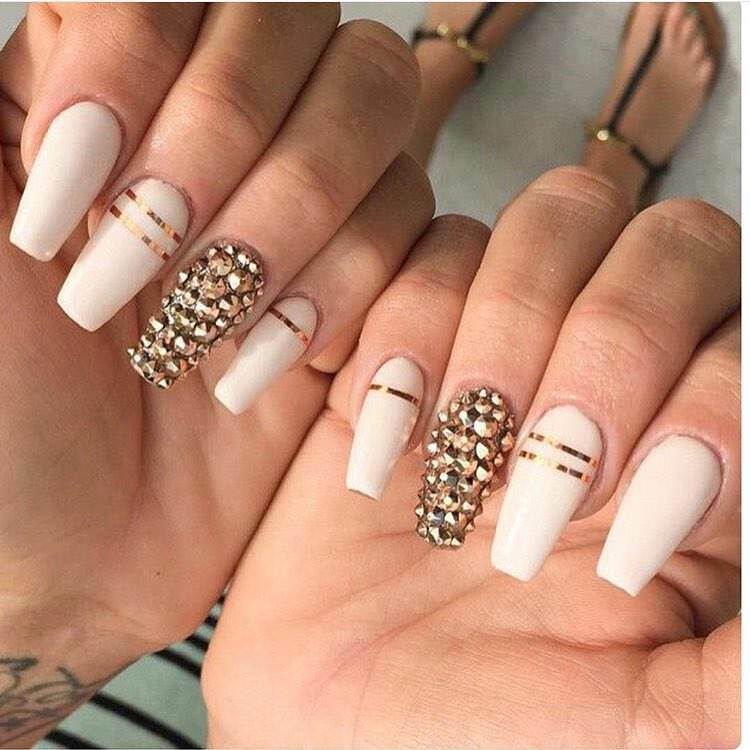 The nail art is perfect for prom night. It goes will every color and pattern of the dress. 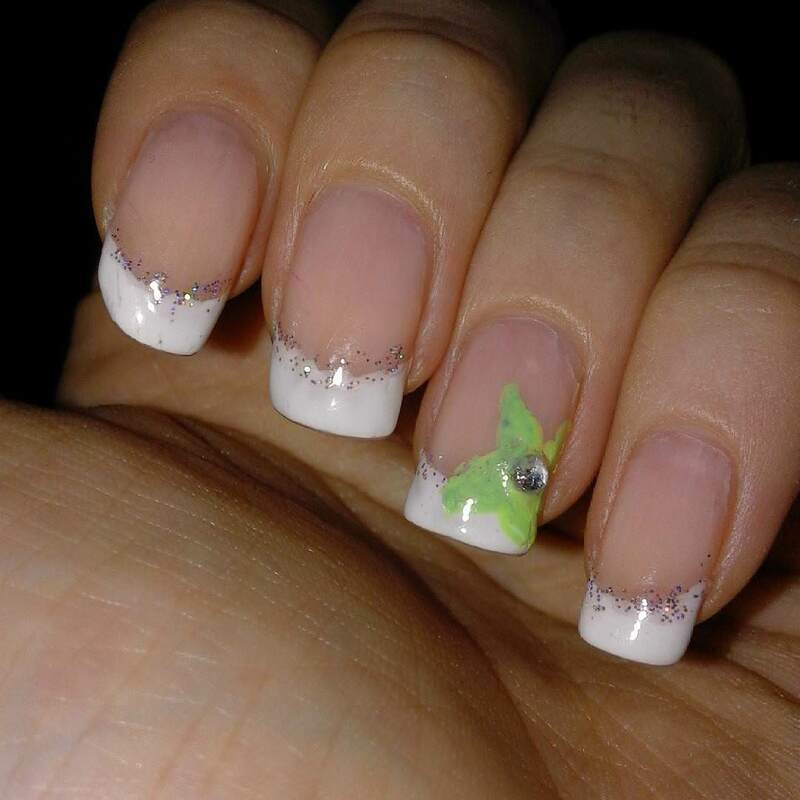 The most common and conventional form of nail art, french manicure is the simplest to carry. 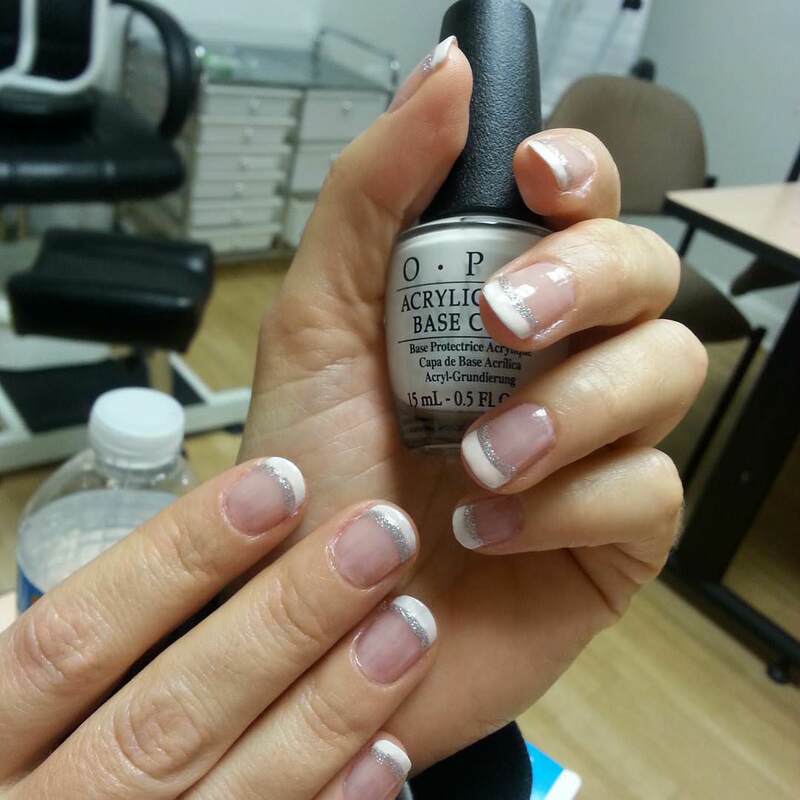 A base coat of clear polish with white paint on top of the nail is a classy look for any party. 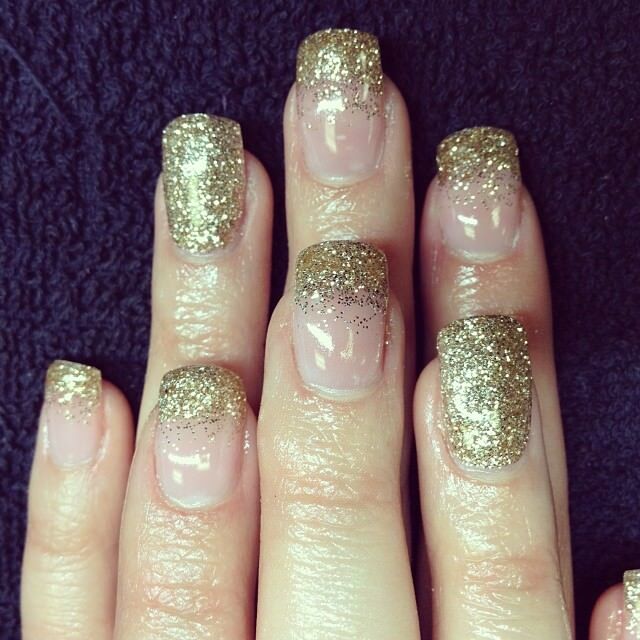 Glitter with beige is a classy nail art to flaunt on the prom night. 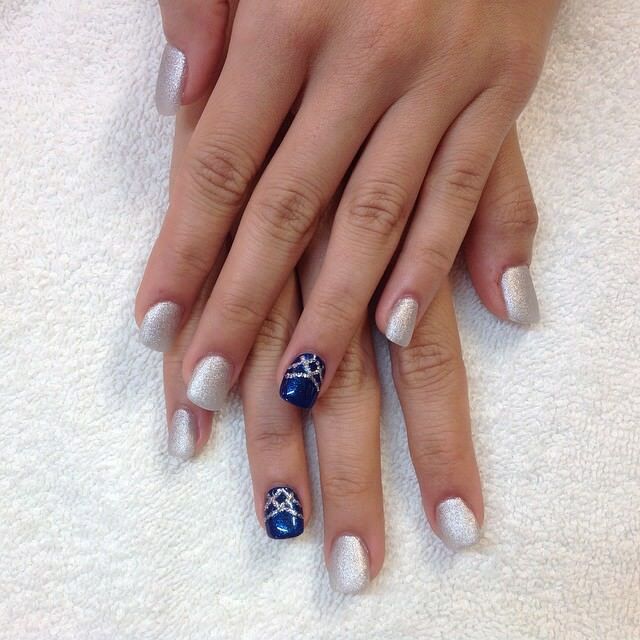 The nail art is a neutral one which will go with almost any color of the dress. 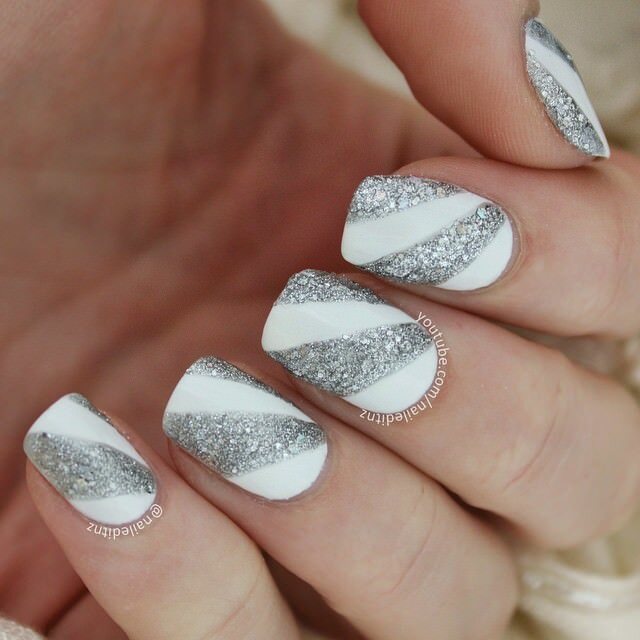 Glittery nails are perfect for a night party to dazzle and shine. 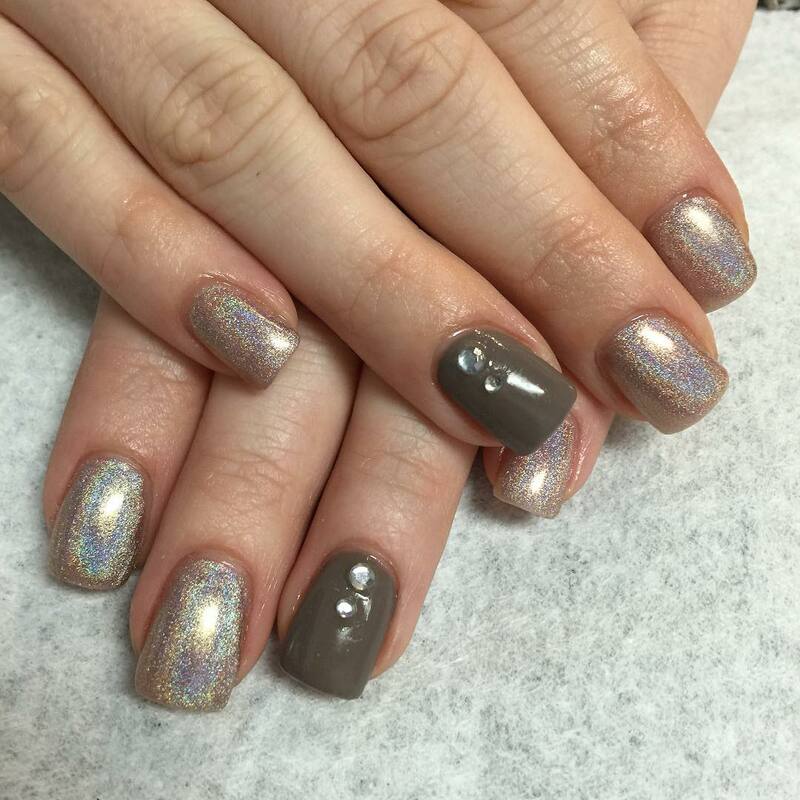 A glitter polish can be put on top of the nail. 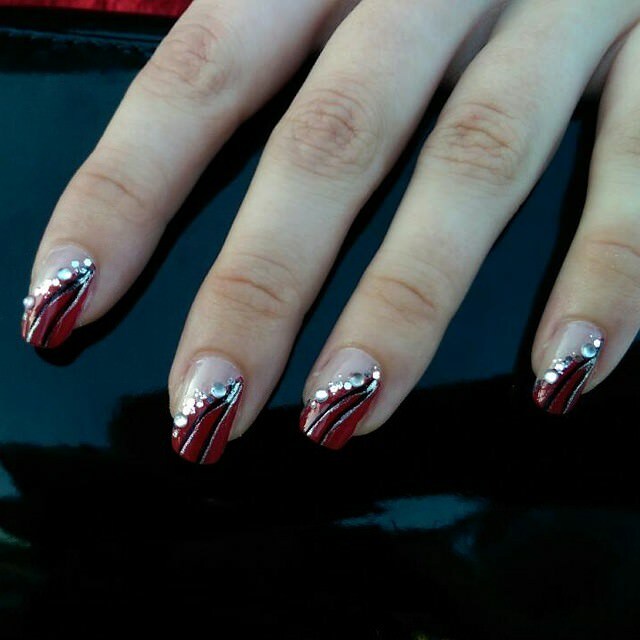 This nail art will go with a formal gown as well as glamorous, chic look. 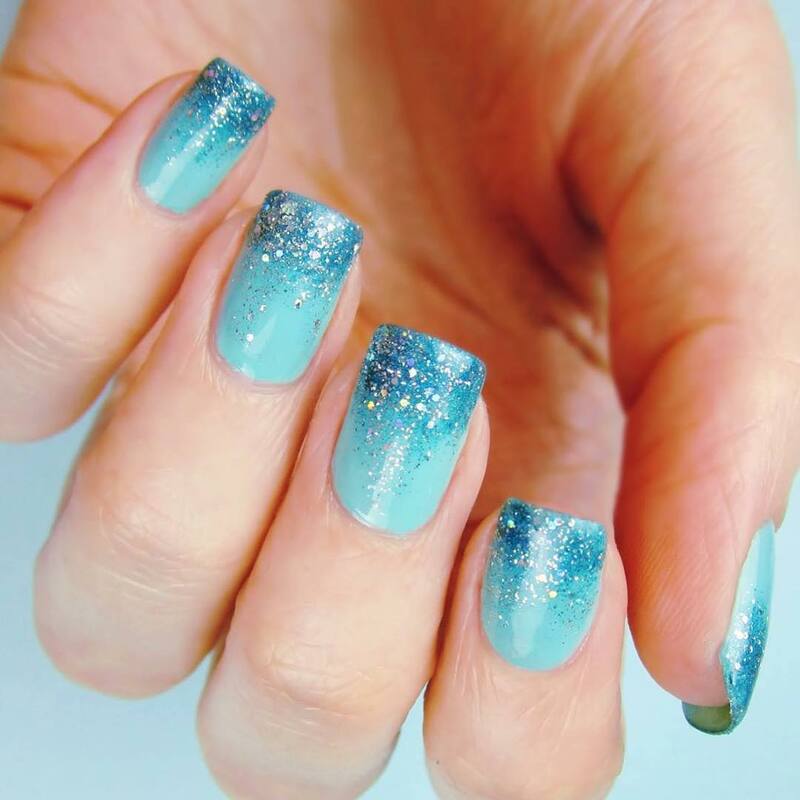 Sea green with a combination of blue is a refreshing nail art. The base coat should be sea green with blue designs. Blue and white flowers will add to the beauty of sea green shade. Black and gold is a classic combination for any night party. 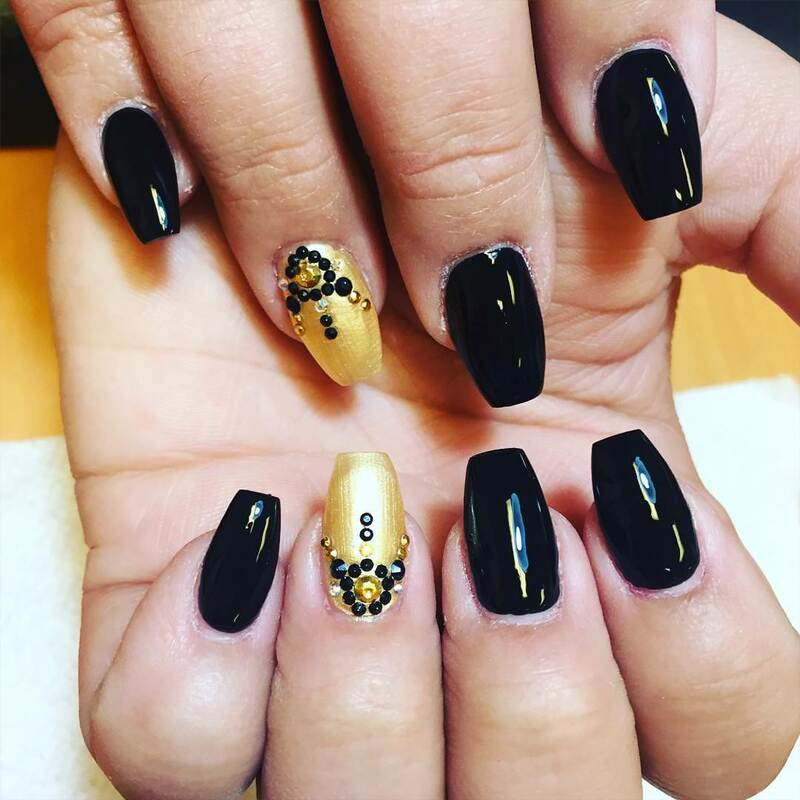 Black base coat with gold on top of nail looks amazing. One can also keep all fingers black with golden paint on the ring finger. Golden flowers and designs can also be made on a black base. Red is a very pretty and conventional shade to carry during a prom night. A conventional red can be adorned with diamonds to add glamor to the look. One can stick diamonds either on all fingers or just ring finger and rest can be kept in plain red. A purple shade is a soothing and a refreshing one. 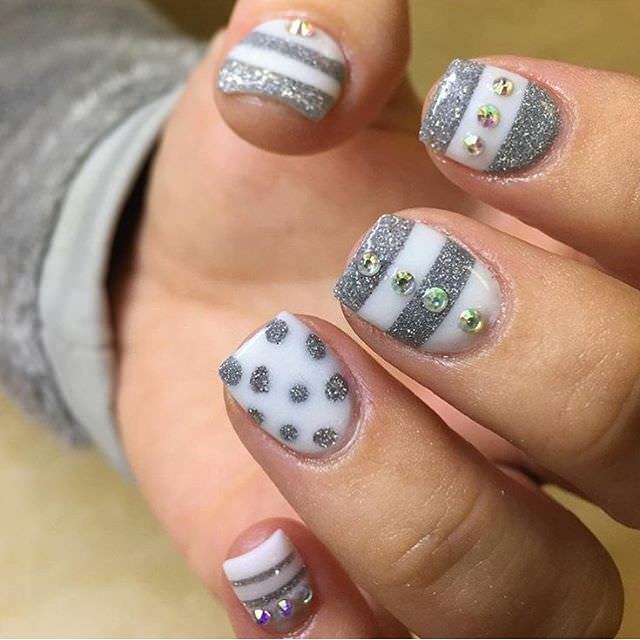 This nail art can be matched with a purple dress. 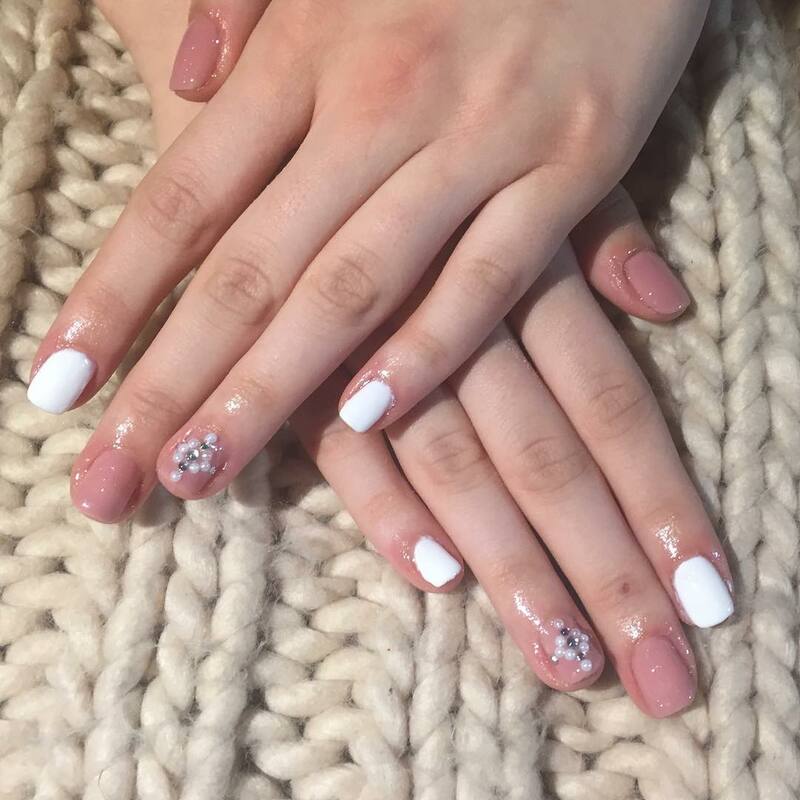 The nail art is a simple. 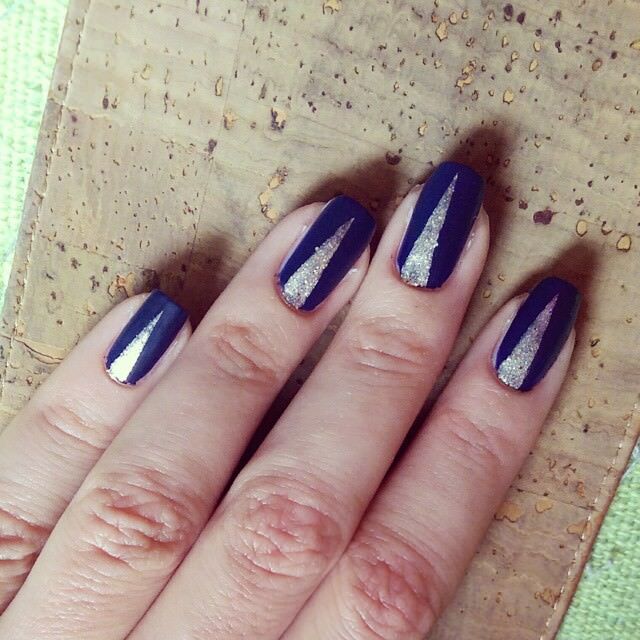 The base coat of purple can be decorated with a hint of glitter on top of the nail. 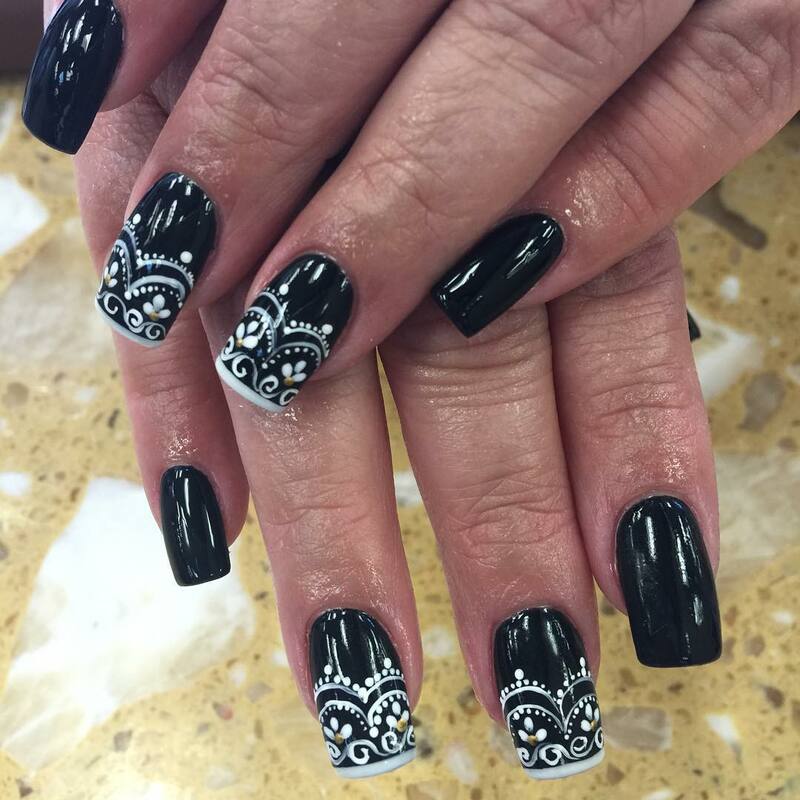 The black color base coat can be adorned with glitter on top of the nail. 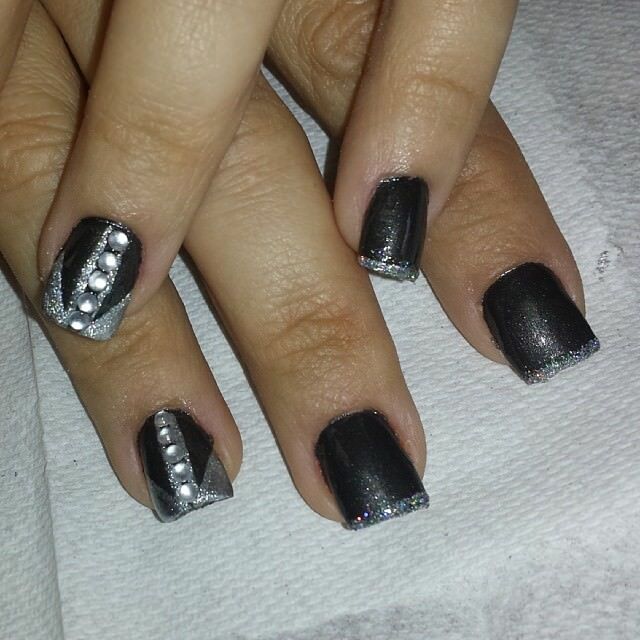 Alternate fingers can be painted with black paint and glitter polish. 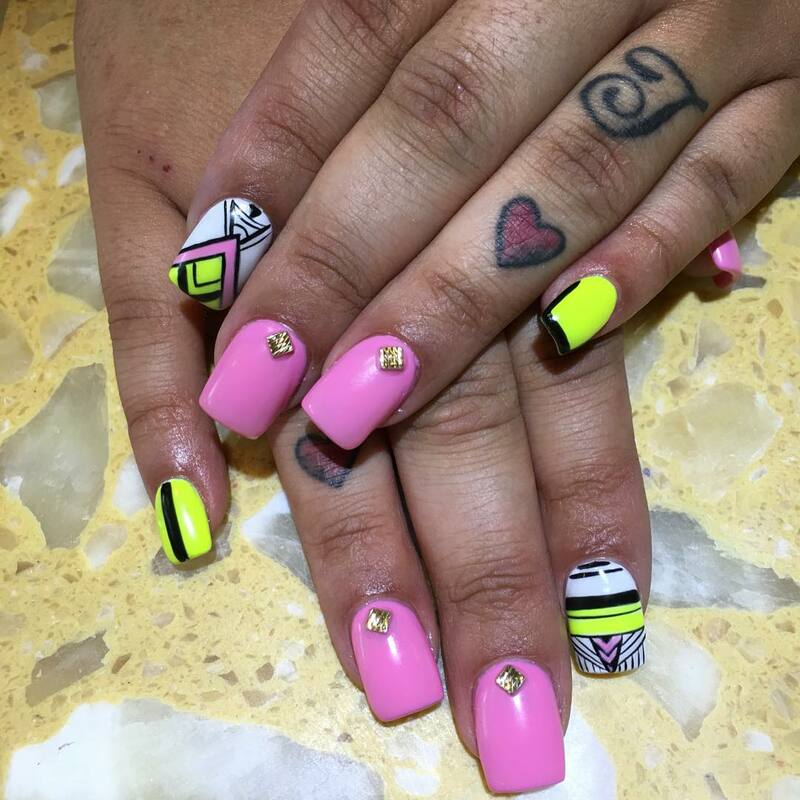 The above nail arts are few of the classiest, trendy and easy to carry designs. These contemporary designs will make for a perfect prom night.